The 2014 AIBC Annual Conference concluded on Friday, October 10 after three full days of professional development programming, networking and celebration. This year’s conference brought together hundreds of delegates and guests, and featured two full-day learning workshops; five streams of professional development offerings; and keynote speakers Caleb Behn and Kelly Edzerza-Bapty. The success of this year’s conference was greatly aided by the many generous sponsors and exhibitors listed below. Sincere thanks goes to all conference partners for their kind support, and we hope to see you again next year. Still from the “Tokyo” episode of “Architecture and the Unspeakable”. Courtesy of John Szot Studio. The full-length version of “Architecture and the Unspeakable”, directed by John Szot and produced by Brooklyn Digital Foundry, is now officially released to the public. The film features three architecture proposals by John Szot Studio, who visualized three fictional buildings in SoHo, Tokyo, and Detroit. 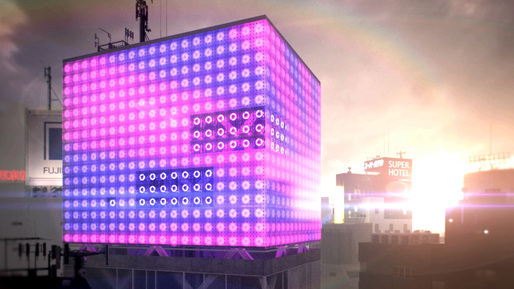 Each building represents a pathological issue that also contributes to the cultural dialogue in architecture, thus exploring the connection between virtual architecture and the physical world. A design proposal for the Art Gallery of Greater Victoria has won international recognition at the World Architecture Festival. The design, however, will never be built. Winnipeg-based 5468796 Architecture and Number TEN architectural group of Victoria were among three teams shortlisted for the AGGV’s $14-million expansion contract. 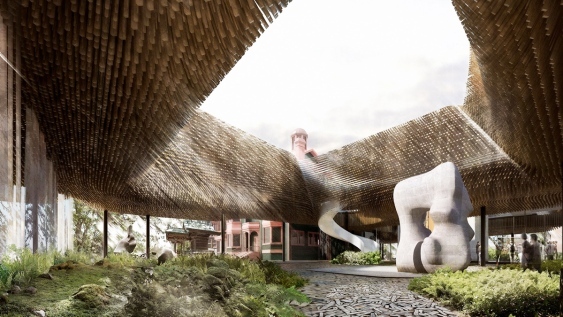 In spite of losing the contract, the Winnipeg team’s vision for the gallery was named Best Future Project at the festival last week in Singapore. It was the only North American project to win its category at the awards ceremony, which is the largest celebration of architecture around the world. About 400 projects ranging from schools to cinemas were in the running across 31 categories. “It definitely felt great when you think about the context in which we won,” said project leader Sasa Radulovic of 5468796. The team was competing against some of the biggest architectural firms in the world, he said, including Rogers Stirk Habour+Partners, which was responsible for the Pompidou Centre in Paris and the Lloyd’s building in London (the firm was previously known as Richard Rogers Partnership). Radulovic described the design as one that camouflaged the gallery in the rich tree canopy of Garry oaks and sequoias, while bringing a “downtown” presence to the residential location. 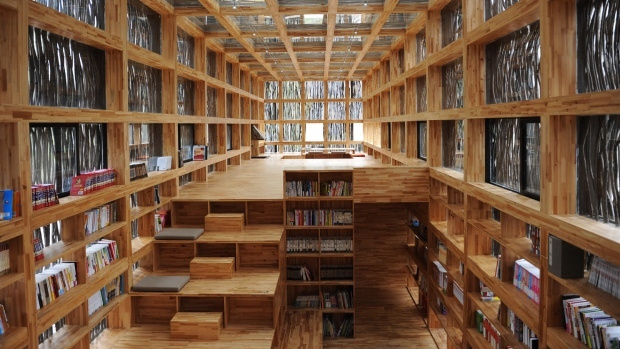 A community library on the outskirts of Beijing that uses firewood collected from the village as one of its primary building materials was awarded the first Moriyama RAIC International Prize in Toronto Saturday night. Raymond Moriyama, the noted Canadian architect who created the prize, awarded the $100,000 prize to China’s Li Xiadong. “He’s a genius and he’s pointing the way to the future,” Moriyama said in his remarks. The Liyuan Library is a five-minute walk from the town centre of Jiaojiehe, a Chinese village with a population of 300. While the exterior of the building first looks plain to an unsuspecting visitor, every aspect of the interior of this unique public space is spectacular and seems to reflect the natural beauty in the hillside outdoors. The stepped platforms of the reading areas provide clients with a secret hideaway, designed for enjoying a good book.